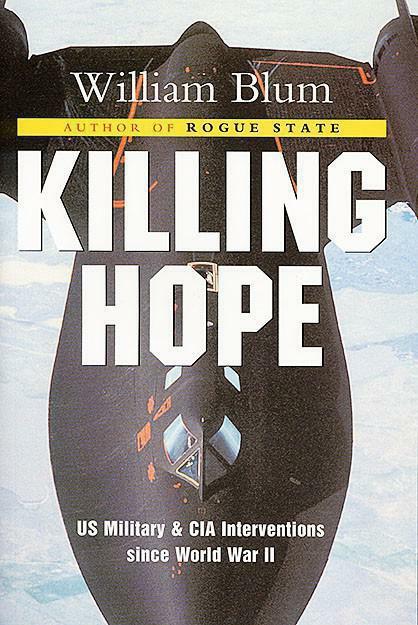 Cover of William Bloom's book "Killing Hope: US Military and CIA Interventions since World War II"
There is no way that the ethnic Chinese of Kokang can be an instrument of the PRC in organizing a rebellion in Myanmar. The only actor capable of provoking these rebellions is the United States. The government of the impoverished Myanmar was in dire need of revenue for its budget from the transit of natural gas and oil to China. Consequently, it responded harshly to the sudden armed rebellion in Kachin and Kokang in the area of a gas pipeline and an oil pipeline which were practically completed. Both military aviation and large ground units were sent to suppress the rebellion; meanwhile, the international press began publishing articles claiming that the PRC was supposedly destabilizing the region, attempting to use the ethnic Chinese in Myanmar to apply pressure on the government, or even to grab a piece of the country’s territory in order to gain full control of its gas pipeline and the rest of the infrastructure of the “Silk Road’s” southern branch. Having said this, the authors of these publications did not provide any evidence of the PRC supporting the rebels in Kokang, and this is by no coincidence. The issue is, first of all, that the Chinese in Kokang are no ordinary Chinese. They are mostly descendants of the soldiers and officers of the Kuomintang army, headed Chiang Kai-shek, whom Mao Zedong’s People’s Liberation Army defeated 75 years ago, the remnants of which being forced to flee China to Taiwan and to neighboring countries. In other words, these are “anti-China” Chinese. Secondly, the Burmese states of Kachin and Shan are an important part of the so-called Golden Triangle, which, until recently, produced the majority of the world’s opium. Even though Afghanistan has now surpassed the Golden Triangle in global opium and heroin shipments, Myanmar still produces massive amounts of the drug. Local Chinese smuggle a sizable amount of the drug to the PRC via secret trails, a problem with which Beijing is constantly fighting. For these reasons, there is no way that the ethnic Chinese of Kokang can be an instrument of the PRC in organizing a rebellion in Myanmar. Then whose instrument are they? Who could organize powerful anti-government rebellions in Myanmar? And furthermore, at such a moment when the PRC began to actively develop first the oil and gas pipeline component of its “Silk Road” branch, and then other infrastructure components? The only actor capable of provoking these rebellions is the United States. In order to explain why this is so, it is necessary to briefly examine a historical and geopolitical thread which at first may seem to be a peripheral one, but it has great importance to the topic. Starting in 1949, after the Revolution’s victory in mainland China, Mao Zedong’s government began an unyielding battle against the production and consumption of narcotics in the country’s southern provinces. Having been banished from the country, the drug mafia bosses relocated to Laos, Burma, and northern Thailand, leading to a sharp increase in poppy growth and opium production on these territories. The labor force in this profitable business in northwestern Burma principally consisted of, as previously mentioned, the remnants of the Chinese Kuomintang army, who were forced across the border. Chiang Kai-shek’s secret service in Taiwan took it upon themselves to organize the production of these narcotics, entering alliances with the chiefs of the mountain tribes in Laos, Burma, and Thailand. The key operators of opium processing, heroin production, and global trafficking of this product of the Golden Triangle were American and partially British intelligence. First and foremost, this means the CIA, which took all of the anticommunist forces and regimes in Indochina under its wing after the Chinese revolution. Through this, the CIA accomplished two strategic goals. First of all, the most combat-capable, and concurrently, the most anti-communist military-criminal groups became concentrated in the sphere of producing narcotics. Gaining control of these assets gave the CIA a valuable manpower resource for clandestine and military operations in the region. Moreover, if the wars the US wages in Indochina are secret wars, in essence, special operations that the government denies its involvement in, which consequently cannot be discussed in the US Congress, then the funding of such secret wars, by definition, cannot come from budget appropriations. It must come from so-called special funds. Only as select group of people can know about this. These people are not accountable for their expenditures neither to the American people, nor to Congress. One must agree that this looks very appetizing to intelligence groups who wish to profit off of this kind of secrecy, justifying their peculiar activities, including those involved with drug and weapons trafficking, by the fact that special operations need to be financed, but to finance them from the federal budget is unacceptable. In this situation, revenue from the drug trade from the Golden Triangle turned into a key mechanism for the CIA to finance its own secret activities and guerrilla wars, as well as to provide financial support for friendly regimes and political forces in the region. This includes Chiang Kai-shek’s regime in Taiwan and anti-communist groups in countries neighboring the PRC. In order to successfully conduct the above-described anti-communist (most importantly, anti-Chinese) project, the CIA bought out CAT (Civil Air Transport), a private airline. The CIA began to use it widely to transport combat units and weapons in Indochina, as well as for drug trafficking. This activity began during the Korean War (1950-53), and it quickly expanded, reaching its peak during the Vietnam War. Apart from the opium and heroin trade in Indochina and China, the CIA sent most of the opium produced to heroin labs in Europe, especially in Marseilles and Sicily. Under CIA control, powerful opium processing plants were set up there, turning out high quality heroin, which then found its way to European and American drug markets. In order to launder its drug money, the CIA registered a special bank on the Cayman Islands, the Nugan Hand Bank of Sydney. Practically the entire board of directors of the bank was made up of CIA and US military officers. William Colby, the former director of the CIA, was on the books as the bank’s legal counsel. However, the CIA’s actions in the region triggered international scandals on a regular basis. These scandals were often due to aircraft belonging to CAT (a purely civilian airline) being caught smuggling weapons through regional airports. In the beginning of 1959, the CIA renamed CAT as “Air America”, including in its charter the right to transport military cargo on contract with the US government. Officially, Air America became a commercial airline, making humanitarian flights on behalf of the US Agency for International Development (USAID). The majority of its airplanes were registered in Taiwan. The airline reached the peak of its involvement in military-criminal activities during the Vietnam War of 1961-1975. During that time, Air America became the largest airline in the world by fleet size. Some readers might suppose that what was stated above is a confabulation from the mind of some fringe conspiracy theorist. But, this is not so. After the end of the Vietnam War, which had catastrophic results for the US, American scientists and politicians began to closely examine the role of the CIA in the events that transpired in Indochina. The results of these investigations were published in hundreds of article in respected American journals and in multiple books. Among those worth mentioning are Jonathan Kwinty’s The Crimes of Patriots: A True Tale of Dope, Dirty Money, and the CIA, 1987; William Blum’s Killing Hope: U.S. Military and C.I.A. Interventions since World War II, 2003, and Peter Navarro’s The Coming China Wars: Where They Will Be Fought and How They Can Be Won, 2007. Air America’s military-terrorist and drug trafficking activities were described not only in multiple articles and books (such as Christopher Robbins’ Air America, 1985), but also in the popular Hollywood film “Air America” starring Mel Gibson, that came out on movie screens in 1990. One might also say that this is “the stuff of days long past”. Returning to the topic of the rebellion in Myanmar and the resulting problems with the Chinese natural gas and oil pipeline projects, it must be noted that, having shifted the focus of its operations to Afghanistan, the CIA has not entirely removed itself from Indochina. Neither has the Kuomintang’s secret service, for whom the drug trade from the Golden Triangle remains an important funding source, left the region. Both Taiwanese intelligence and the CIA retain wide networks of agents and reliable contacts with local tribal chiefs. With China’s realization of this regional branch of the “New Silk Road”, the United States’ interest in Myanmar, and consequently these contacts, became far more active. Thus, in 2011, American officials and press quickly changed their opinion regarding “the dictatorial regime” in Rangoon and “this regime’s audacious human rights abuses within the country”. Then President Obama paid two visits to Myanmar. In must be noted that two consecutive visits by the president of the United States to a small country, which one would think is far from both the United States and its strategic interests is something unprecedented. The first of these visits occurred in November 2012. We must note that this was the first visit by a US president to Burma/Myanmar and that Obama made this visit immediately following his re-election to a second term. The president of the United States said that he sees “evidence of major advances in democratic reform”. It was immediately after this visit when local tribes in the Kachin State began their mass protests against the construction of a hydroelectric power plant by China. Obama paid his second visit to Myanmar in November 2014 (officially for the ASEAN summit). And again, one month after this visit, new protests began in Kachin State, which then spilled over into a full-scale armed rebellion on the Kokang Autonomous Territory in Shan State. At the present moment, these events have called into question the further development of the principal infrastructure (oil pipeline, gas pipeline, railroad) of the Chinese project for a regional branch of the “New Silk Road”. Specifically, the Chinese gas pipeline from the Shwe gas field on the shelf of the Bay of Bengal, with a capacity of 12 billion cubic meters of gas per year, pumped only 3bcm of gas to Yunnan Province in 2014. The Chinese oil pipeline, with its capacity of 22 million tons of oil per year, stretching from the Kyaukpyu oil tanker terminal on the Bengali shore to Yunnan Province, with its “test launch” on February 28, 2015 has yet to enter regular use. Furthermore, in early March 2015, Chinese media announced, quoting PRC State Council Premier Li Keqiang, that the PRC plans to change the route of the southern branch of the “New Silk Road”. The new option no longer calls for the construction of a railroad from the ports of Myanmar to Yunnan, and the principal infrastructure of the “New Silk Road” branch will pass to the east of Myanmar, through Laos and Thailand. This begs the question: to what extent have the CIA and the Taiwanese secret service retained their capabilities of clandestine and military-political influence on Laos and Thailand? And, will the new version of China’s southern branch of the “New Silk Road” face similar problems to what occurred in Myanmar? 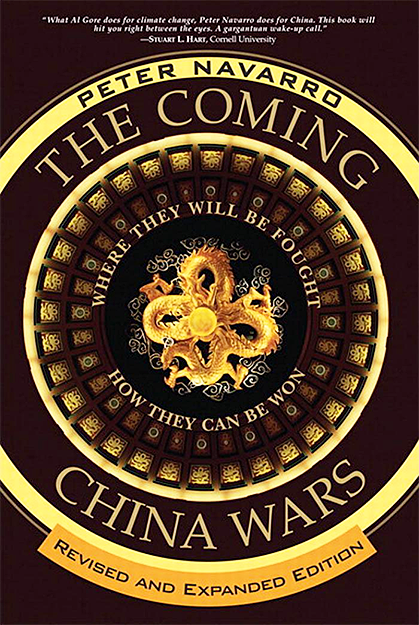 This is the translation of the twelfth article (first published in “Essence of Time” newspaper issue 128 on May 20, 2015) by Yury Byaly of a series on the new round of global economic warfare. The ultimate goal of this war, of which gas wars is a part, is the weakening and dissolution of Russia. But disruption of Russian supply of gas will lead to lack of gas and rise of prices and some European economies might just not handle this. Since all of the global economy is intertwined, those who started this war want to make not just Russia, but many other countries become weaker in the end. This entry was posted in Articles, Economy and tagged "Essence of Time" Newspaper, China, Economy, USA, Yury Byaly. Bookmark the permalink.